For the first time ever, radio jockeys from competing channels have come together to sing the iconic song ‘Saare Jahaan Se Accha’ as an initiative towards inclusivity and tolerance in India. The song originally written by Muhammed Iqbal in 1904, has now been sung by RJs from Fever 104 FM, Radio City 91.1 FM and Radio Nasha 91.9 FM to promote the upcoming film ‘The Tashkent Files’. The song has been sung by producer and rapper Jayaraman Mohan, RJ Rohini (Radio Nasha), RJ Anuraag Pandey (Fever FM) and RJ Archana (Radio City). The campaign was conceptualised and executed by Zee Studios and Media One Solutions. This will be used as a radio campaign for the film’s promotion. Additionally, the song will also be promoted on all Zee TV and digital platforms. 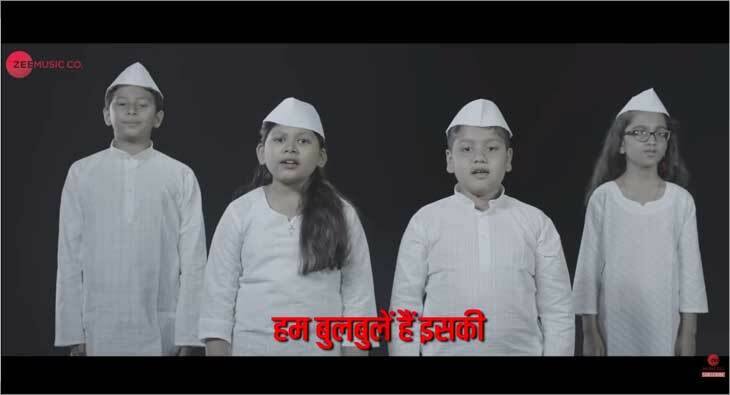 Zee Studios and Media One Solutions created a similar national campaign for ‘Manikarnika’ where radio listeners from across the country sent in their versions of the song ‘Bharat’ in their languages. This was curated together from across Mumbai, Delhi, Punjab, Telangana, Gujarat, Bihar among other areas. ‘The Tashkent Files’ is based on the mysterious death of former Indian PM Lal Bahadur Shastri and is scheduled to release on April 12, 2019. The film will see several noteworthy actors like Naseeruddin Shah, Pankaj Tripathi and Mithun Chakraborty.